SDCCU Stadium is a multi-purpose stadium in San Diego, California, United States. The stadium opened in 1967 as San Diego Stadium and was known as Jack Murphy Stadium from 1981 to 1997. From 1997 to 2017, the stadium's naming rights were owned by San Diego-based telecommunications equipment company Qualcomm, and the stadium was known as Qualcomm Stadium. The naming rights expired on June 14, 2017, and the stadium was renamed SDCCU Stadium on September 19, 2017. It is the home of the San Diego State Aztecs football team from San Diego State University. One college football bowl game, the Holiday Bowl, is held in the stadium every December. 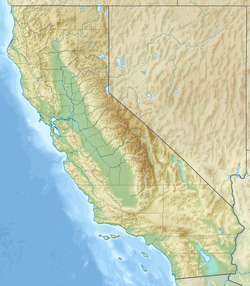 It is also the home of the San Diego Fleet of the Alliance of American Football. 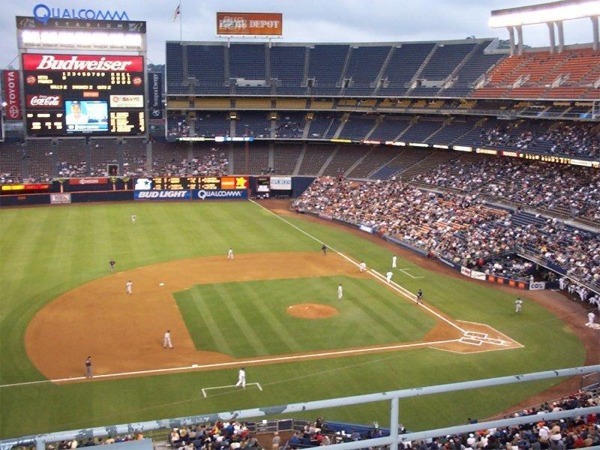 The stadium was the longtime home of two professional franchises: the San Diego Chargers of the National Football League (NFL) and the San Diego Padres of Major League Baseball (MLB). The Chargers played at the stadium from 1967 through the 2016 season, after which they moved to Los Angeles to become the Los Angeles Chargers. The Padres played home games at the stadium from their founding in 1969 through the 2003 season, when they moved to Petco Park in downtown San Diego. The stadium was also home to a second college bowl game, the Poinsettia Bowl, from 2005 until its discontinuation following the 2016 edition. In the early 1960s, local sportswriter Jack Murphy, the brother of New York Mets broadcaster Bob Murphy, began to build up support for a multi-purpose stadium for San Diego. In November 1965, a $27 million bond was passed allowing construction to begin on a stadium, which was designed in the Brutalist style. Construction on the stadium began one month later. When completed, the facility was named San Diego Stadium. The Chargers (then a member of the American Football League) played the first game ever at the stadium on August 20, 1967. San Diego Stadium had a capacity of around 50,000; the three-tier grandstand was in the shape of a horseshoe, with the east end low (consisting of only one tier, partially topped by a large scoreboard). The Chargers were the main tenant of the stadium until 1968, when the AAA Pacific Coast League San Diego Padres baseball team played its last season in the stadium, following their move from the minor league sized Westgate Park. Due to expansion of Major League Baseball, this team was replaced by the current San Diego Padres major-league team beginning in the 1969 season. (The Padres moved out of SDCCU Stadium following the 2003 season.) The original scoreboard, a black-and-white scoreboard created by All American Scoreboards, was replaced in 1978 by one manufactured by American Sign and Indicator, which was the first full-color outdoor scoreboard ever built. This was replaced in 1987 by a White Way Sign scoreboard, in which the video screen is surrounded almost entirely by three messageboards. The original video board was replaced in 1996 by a Sony JumboTron, with a second JumboTron installed behind the opposite end zone (third base in the stadium's baseball configuration). 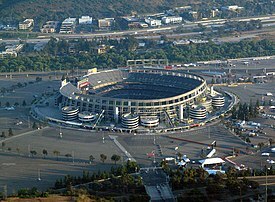 After Jack Murphy's death in September 1980, San Diego Stadium was renamed San Diego–Jack Murphy Stadium by a 6–2 vote of the San Diego City Council on January 6, 1981. In 1983, over 9,000 bleachers were added to the lower deck on the open end of the stadium raising the capacity to 59,022. The most substantial addition was completed in 1997, when the stadium was fully enclosed, with the exception of where the scoreboard is located. Nearly 11,000 seats were added in readiness for Super Bowl XXXII in 1998, bringing the capacity to 70,561. Also in 1997, the facility was renamed Qualcomm Stadium after Qualcomm Corporation paid $18 million for the naming rights. The naming rights belonged to Qualcomm until 2017, after which the rights were purchased by San Diego County Credit Union. In order to continue to honor Murphy, the city named the stadium site Jack Murphy Field. However, as part of the naming agreement Jack Murphy Field was not allowed to be used alongside Qualcomm Stadium. Some San Diegans, however, still refer to the stadium as "Jack Murphy" or simply "The Murph". Before his death in 2004, Bob Murphy still referred to it as Jack Murphy Stadium during New York Mets broadcasts, even after it was renamed. The stadium was temporarily renamed "Snapdragon Stadium" for 10 days in December 2011 as a marketing tie in for Qualcomm's Snapdragon brand. The legality of the temporary name change was challenged at the time, since it was agreed to unilaterally by San Diego's mayor, without approval from the City Council and against the advice of the City Attorney. The stadium was the first of the square-circle "octorad" style, which was thought to be an improvement over the other cookie cutter stadiums of the time for hosting both football and baseball (the second and last of this style was the since-imploded Veterans Stadium). Despite the theoretical improvements of this style, most of the seats were still very far away from the action on the field, especially during baseball games. It is one of the few "cookie-cutter" stadiums to still remain active, along with Robert F. Kennedy Memorial Stadium. When the stadium was configured for baseball, the portable sections would be placed in the western quadrant of the stadium along the third base-left field side. Open bullpens were located along both foul lines just beyond the ends of the Field-level seats. In the Padres' final five seasons at the stadium from 1999 to 2003, the home plate area took on the shape of home plate itself (as opposed to the standard circle); this feature is seen in Detroit's Comerica Park today. Orel Hershiser broke Don Drysdale's scoreless inning streak at Jack Murphy Stadium on September 28, 1988 as the Los Angeles Dodgers played the San Diego Padres. Rickey Henderson collected his 3000th major league base hit here on October 7, 2001 as a Padre, in what was also the last major league game for Tony Gwynn, the eight-time National League batting champion and Hall of Famer who played his entire career with San Diego. It was also before a Padres game here where comedian Roseanne Barr gave her infamous rendition of "The Star-Spangled Banner" in 1990. The stadium was the site of the 1980 AFC Championship Game, which the "Bolts" lost to their AFC West and in-state rival, the Oakland Raiders, 34–27. The Chargers also hosted Wild Card and Divisional Playoff games in 1980, 1992, 1994, 1995, 2004, 2006, 2007, 2008 and 2009, going 5-5 in all playoff games held at the stadium. The Chargers were unbeaten at SDCCU Stadium against the Detroit Lions (5–0) and Jacksonville Jaguars (4–0), but winless against the Atlanta Falcons (0–6), Carolina Panthers (0–3), and Green Bay Packers (0–6). The Chargers moved from SDCCU Stadium to the Dignity Health Sports Park in Carson, a suburb of Los Angeles, following the 2016 NFL season. 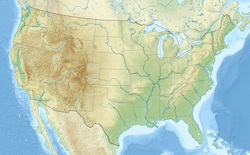 The San Diego Fleet of the Alliance of American Football (AAF) began playing at the stadium in 2019. They hosted their first game at the stadium on Sunday, February 17. On October 27, 2018, the Navy Midshipmen hosted the Notre Dame Fighting Irish at the stadium for a regular season game. SDCCU Stadium has been a venue for many international soccer matches. The stadium has hosted FIFA tournaments, including the CONCACAF Gold Cup, and the U.S. Cup (an international invitational), as well as many international friendly matches involving the Mexico National Team. The most recent international friendly at SDCCU set an all-time attendance record for the sport in the region. The match between Mexico and Argentina which was held on June 4, 2008 drew 68,498 spectators. In addition, SDCCU Stadium was part of the 18-stadium United States 2018 and 2022 FIFA World Cup bid, but the United States did not win either bid for the World Cup. The San Diego Sockers of the North American Soccer League played at the stadium from 1978 to 1983. The stadium was the venue of Soccer Bowl '82 of the North American Soccer League and Major League Soccer's 1999 All-Star Game. On January 29, 2017, the USMNT played a friendly (exhibition) match against Serbia, the first ever meeting between the two teams. The match finished as a 0–0 draw. In October 1967, just weeks after the stadium opened, it hosted a SCCA event organized by San Diego Region. The event was not held in the stadium itself, but on a temporary course mapped out through the stadium's parking lot. In July 1968, the Region organized a SCCA National for the car park, now called the San Diego Stadium International Raceway, but the combination of a very small crowd and complaints about the noise ensured that the experiment was not repeated. SDCCU Stadium has also hosted rugby matches. In October 1980, the USA played New Zealand in a rugby match televised on ESPN. With 14,000 fans in attendance, this game at the time was the largest crowd ever to watch an international rugby game in the US. Old Mission Beach Athletic Club RFC play rugby union at the adjacent mini-stadium, so-called Little Q.
SDCCU Stadium was home to a round of the AMA Supercross Championship each year, usually in early February, from 1980 to 2014. The stadium also hosted a round of Monster Jam, also ran and operated by Feld Entertainment. In 2015, both events were moved to Petco Park. ESPN held their inaugural Moto X World Championships at SDCCU Stadium in April 2008, and has previously used the stadium parking lot and surrounding streets as a venue in the X Games Street Luge competition. Alina Baraz A Head Full of Dreams Tour 54,279 / 54,279 $5,955,986 Part of the show was broadcast live at a benefit concert in Mexico City for the relief efforts for the Central Mexico earthquake. The proceeds from the show went towards the relief efforts for the Central Mexico earthquake. On May 4 and 18, 2013, the stadium was used as a race course by the Stadium Super Trucks. With the departure of the Padres following the 2003 season and even beforehand, there has been much talk of replacing the increasingly obsolete (by NFL standards) stadium with a more modern, football-only one. Also, the NFL has demanded a new stadium if San Diego is to host another Super Bowl. There have been many problems with this project, the most obvious one being the city's inability to fund such a stadium. In 2010 the Chargers and city attempted to bring business partners in on a proposed $800 million stadium project, which would have been located in downtown San Diego's East Village and included upgrades to the area and infrastructure, but all efforts failed. 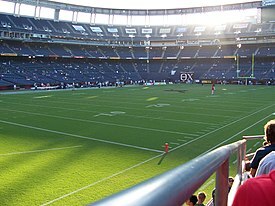 The Chargers had a clause in their contract, to the effect that if they paid off all debts to the city and county for the upgrades to the current stadium by 2007, then the team could pull out of its lease in 2008; however, the clause was not activated. On February 19, 2015, the Chargers and the Oakland Raiders announced that they would build a privately financed $1.7 billion stadium in Carson if they were to move to the Los Angeles market. Both teams stated that they would continue to attempt to get stadiums built in their respective cities. On April 22, 2015, the Carson City Council bypassed the option to put the stadium to public vote and approved the plan 3-0. The council voted without having clarified several issues, including who would finance the stadium, how the required three-way land swap would be performed, and how it would raise enough revenue if only one team moved in as tenant. 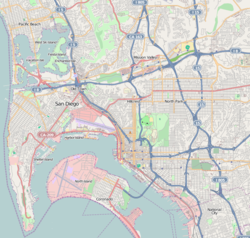 On January 4, 2016, the Rams, Raiders, and the Chargers all filed for relocation to Los Angeles and days later on January 12, 2016, NFL owners voted to approve the Rams relocation from St. Louis to the Greater Los Angeles Area and the Inglewood Stadium 30-2, with the Chargers given a one-year option to join (the Raiders also had this option had the Chargers option to join the Rams not been exercised before January 15, 2017). A month later at the NFL owners meetings December 14, 2016, the lease agreement between the Chargers and the Rams as well as the team's debt waiver fee were approved, taking the first steps to move to the Greater Los Angeles Area in 2017. Four days later, CBS Sports reported citing several NFL owners (and ownership sources) that Dean Spanos had been resigned to the fact that he and the Chargers are moving to L.A. next year. At the same time, Scott Kaplan of San Diego-area sports radio station the Mighty 1090 was told by Spanos that he was leaning towards his team moving and he would have been committed to San Diego had the vote been 50%. On January 12, 2017, the Chargers announced they were moving to Los Angeles and the Dignity Health Sports Park starting with the 2017 season. As the Chargers prepared to depart, a group of La Jolla investors said they hoped to purchase a Major League Soccer expansion franchise. They offered to purchase the SDCCU Stadium site from the City of San Diego if their application for a soccer franchise was approved, and to construct a smaller, soccer-specific stadium outside the footprint of the current stadium. This stadium was initially intended to be shared with the San Diego State University football program, allowing SDCCU Stadium to be demolished upon its completion. The proposal included residential and commercial development and space set aside for a public park. In January 2017 the group announced its detailed proposal, known as SoccerCity, with the stadium site to be leased from the city and developed with private funding. The proposed partnership with SDSU fell apart over disagreement about design and land control issues. The SoccerCity group launched a successful signature drive to gain voter approval, and their proposal was placed on the November 2018 ballot as Measure E.
San Diego State was still interested in the stadium property, which is near the SDSU campus and where SDSU football games are played. In October 2017 a group of local SDSU supporters announced a redevelopment proposal for the stadium site called SDSU West. Under it the majority of the stadium property would be bought from the city and used for an unspecified mix of purposes including a stadium, academic facilities, student and faculty housing, retail uses, and hotels. After a successful signature drive it was also placed on the November 2018 ballot as Measure G. In the November election, voters rejected the SoccerCity proposal with a "No" vote of nearly 70%. The SDSU West proposal was narrowly approved with 54% voting "Yes". SDSU then began negotiations with the city about a purchase of the property. In February the university named Clark Construction as the contractor to build a new multi-use $250 million stadium on the site. The stadium as proposed will seat 35,000 and will support events including college football, NCAA championship games, professional soccer, and special events such as concerts.